Home Sports Columns Kane: What’s wrong with the Eagles? Kane: What’s wrong with the Eagles? The Lombardi Trophy. 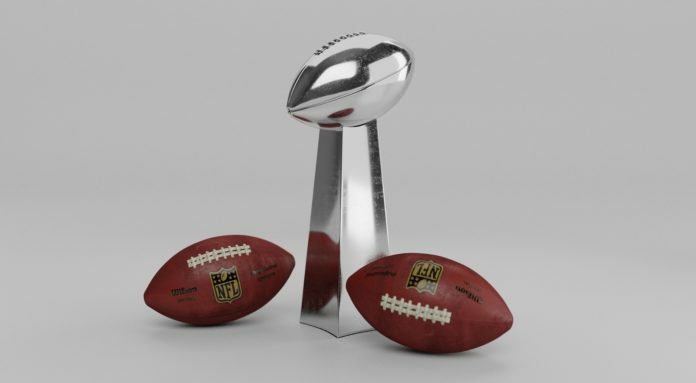 Photo courtesy of Pixabay user "QuinceMedia"
The defending Super Bowl Champions are 2-2 on the season and two timely defensive plays away from being 0-4. The Eagles returned almost all key players from the championship team last year and even upgraded in some key positions with players returning from injuries. So what is wrong with this team right now? The offensive line was a powering force for the Eagles throughout 2017, but so far through 2018 they have been suspect at best. They have given up 34 QB hits in four weeks. That is less than ideal for any team, especially one that is bringing back a franchise quarterback from a major knee injury. Offensively, they have not looked like the same team as last year. They finally got back Alshon Jeffery to help make plays down the field. But with Mike Wallace and Mack Hollins, two receivers they were counting on to make plays on the outside, currently on the IR the offense has become very dependent on the middle of the field. This makes the opposing defense not focus on the whole field. Defensively, the Eagles have an elite defense at home giving up an average of 14 points per game. But on the road, it’s a completely different story, giving up over 26 points per game to rather pedestrian quarterbacks. This is worrisome when you think that in the playoffs they most likely would have to go on the road this year at some point, being that the Rams have a two-game lead for best record in conference already just four weeks in. Finally, a team that wins their division gets a harder schedule the following year. The Eagles benefited from playing a last place schedule last year in terms of opponent difficulty. This year, it’s a little different as they are playing a first-place schedule and play the likes of the Rams, Saints and Vikings in the regular season. Throw in the fact that the Super Bowl champion always has a target on their back more than usual. On paper, a lot of people can argue that the Philadelphia Eagles got better from their team last year. They added a MVP quarterback back under center. They got back their Hall of Fame left tackle. They got back their starting middle linebacker. They added a perennial Pro Bowler to their already very talented defensive line. But through four weeks, the results have not been there for any one unit in particular. They will look to get back on track this weekend in a NFC Championship rematch against the Minnesota Vikings, another team that is reeling to start their season after having such high hopes to take the next step. For comments/questions about this story, email sports@thewhitonline.com or tweet @TheWhitOnline. Next articleWare: Is this the second coming of the 2001 Rams?